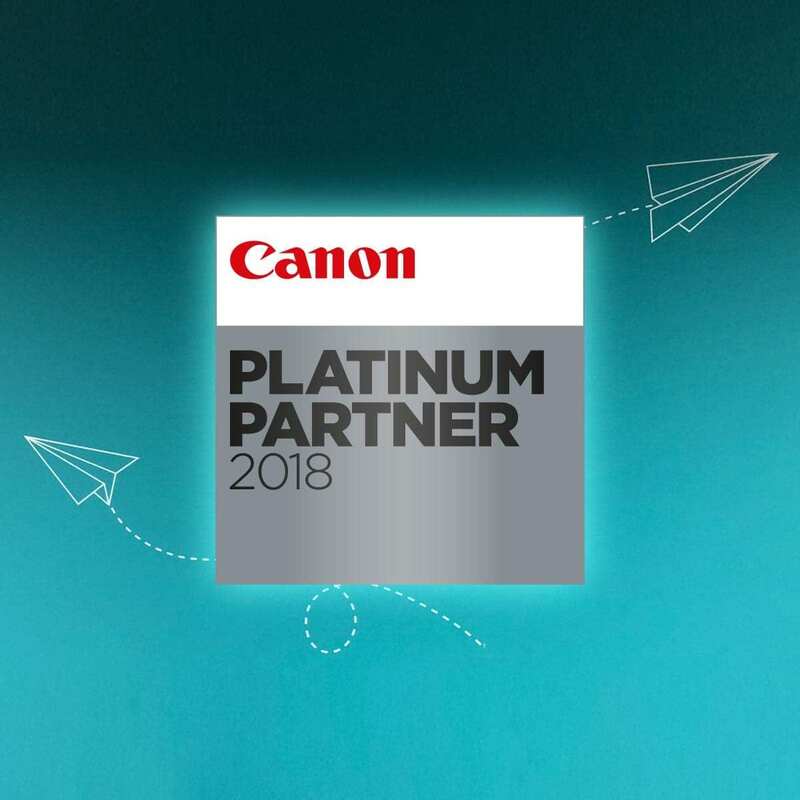 DMC Canotec are proud to announce that we have been recognised as a Canon Platinum Partner. As one of Canon’s largest independent partners in the UK, we are very excited to be one of the first 12 partners across Europe to be awarded Canon’s highest partnership recognition. Sharing technical know-how and a user-centric approach, Canon collaborates with DMC Canotec to better serve customers. For more than 25 years, Canon’s innovative imaging and data management solutions have enabled us to put customer satisfaction at the core of our business. Working with industry-leading integrated service providers, Canon empowers DMC to deliver unparalleled levels of commercial and technical support. Strategic partnerships help our joint customers get the most value from the Canon product portfolio and assist in transforming complex output, device management, document capture and information management challenges into efficient business workflows. Accreditation shows clients, partners and employees that our targeted Managed Print solutions control costs, boost productivity and add value to organisations of all sizes. Certifications for ‘Managed Print Services’, ‘Advanced Office Imaging’, ‘Advanced Office Solutions’ and ‘Production Print’ excellence attest to both the breadth of our portfolio as well as the depth of our expertise. We continue to demonstrate the insight, experience and skill required to consistently deliver a first-rate customer experience. Owing to its strong professional services / service delivery teams, DMC Canotec has a superior ability to manage and transform businesses’ document workflows. DMC Canotec is officially accredited to offer commercial and in-house print providers Canon Colour and Black & White Professional Print cutsheet hardware and solutions. DMC Canotec is able to adopt a consultative approach towards Canon’s advanced print hardware and offer basic Canon Solutions support. Using Canon’s advanced document workflow and management solutions, DMC Canotec is able to adopt a strong consultative approach towards meeting customer needs. Consolidating and streamlining printing practices, ‘best fit’ solutions ultimately help you to fuel profitable growth through best-of-breed technology, expertise and support. Download our introduction to Manage Print Services guide today.